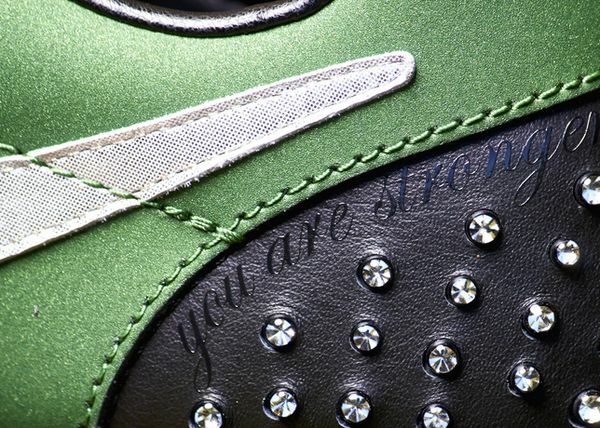 The Nike Roshe Run will be part of the Doernbecher collection. 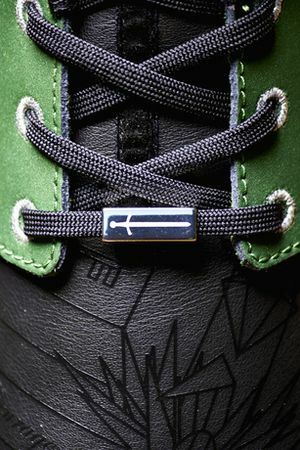 The Doernbecher collection has officially been announced and the Nike Roshe Run has been selected as one of the few sneakers to be released for this special occasion. 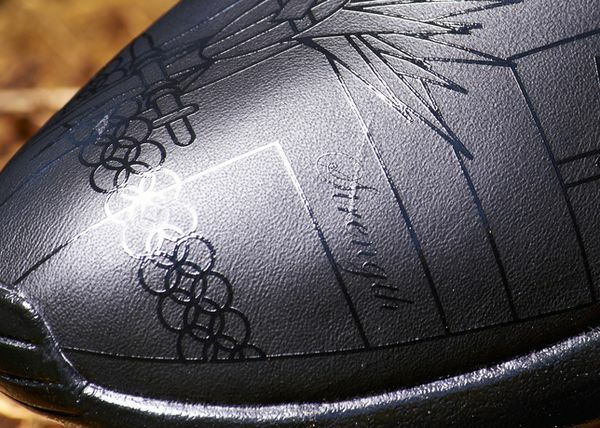 The shoes is covered in details from the embossed leather toe, to the rhinestoned heel cap. 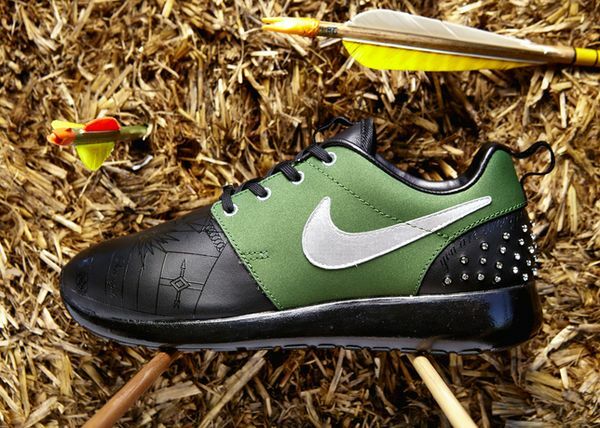 Kate Smith was given the opportunity to create this detailed sneaker which has been based off of her love for medieval swords, archery, and the outdoors. Stay tuned with us via our Facebook, Instagram, and Twitter for the latest news on these Roshe’s and check out the full details below. Kate is a gentle 17-year-old with a warrior’s heart—she loves her medieval sword collection and bow and arrow set. Kate’s shoe, the Nike Roshe Run, is the ideal choice for adventurous getaways. 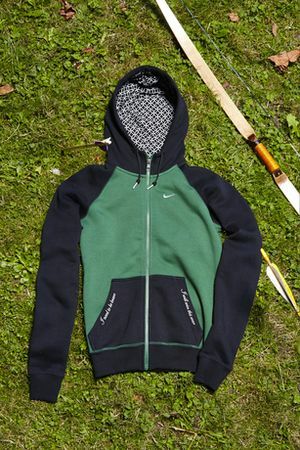 The black leather is a nod to the biker jackets she favors; the side panels are her favorite shade of forest green. She added a few rhinestones for extra bling and an embossed coat of arms that features a mythical phoenix clutching Kate’s sword. 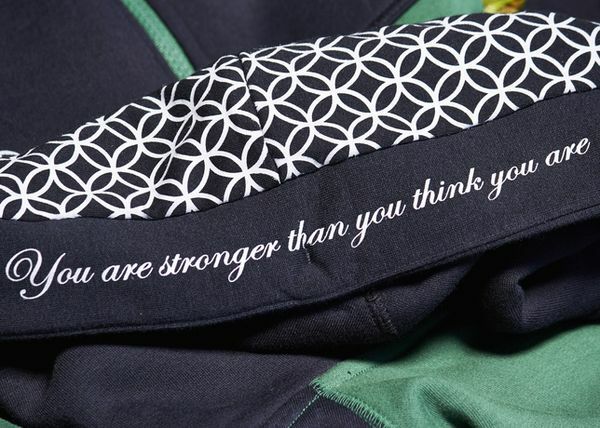 But the words on the back sum up Kate best: You are stronger than you think you are. “Strong, fierce women like Joan of Arc are some of my favorite role models,” she said. Kate knows a thing or two about overcoming adversity. After battling Obsessive Compulsive Disorder with her twin sister Kira, she emerged victorious from the experience and determined to shed light on the disease, battling the misconceptions head on.